KOOL WATER contains supplemental levels of Sodium (Na.) and Potassium (K) electrolytes. KOOL WATER contains blue coloring to help identify its usage. 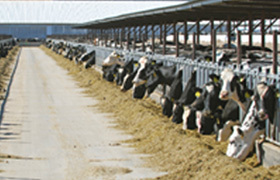 KOOL WATER can be fed anytime before or after normal milk feeding. 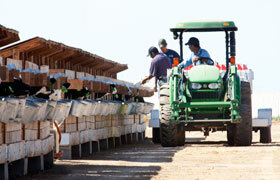 It can also be fed during times of disease, stress or hot weather. 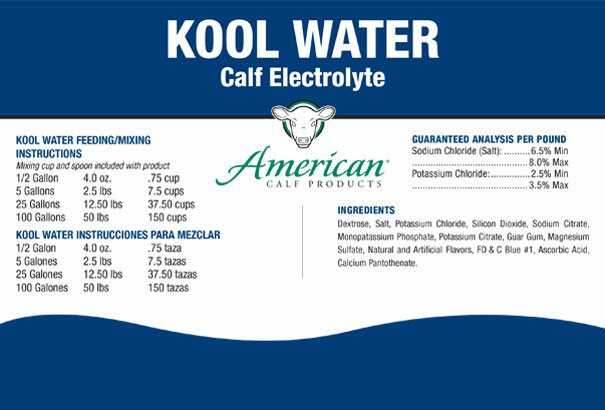 KOOL WATER has great calf palatability.